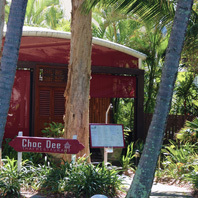 Choc Dee is situated on Williams Esplanade, which is the picturesque roadway running along the fabled Palm Cove beachfront. 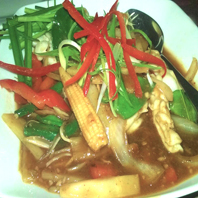 Just 27 kms north of Cairns, it is a top choice to enjoy a relaxed Thai meal and drinks in the evening. 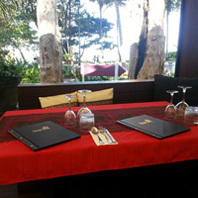 Choc Dee is a licensed, beach-facing establishment surrounded by lush tropical greenery. Inside, under the white sail-form ceiling, diners are seated at dark timber table settings or in lounge-style booths, all with pleasing Thai-style decor. The restaurant pavilion has an almost alfresco feel to it,creating an atmosphere for dining that is eminently suited to such a holiday/getaway destination. A: Extra Mild, no extra chili added. B: Mild, just a little added to give it a bit of spice. 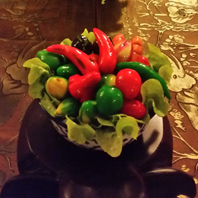 C: Medium, Spicy, just enough to give it and you, a very good kick. D: Hot, now we are getting serious. 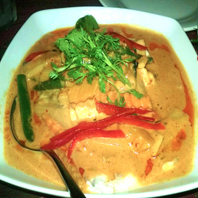 E: Thai Hot, be warned, our spice level is high, very serious. Bookings can be made by ringing 07 4059 2533 and if unattended please leave your contactdetails and we will return your call. Seats approximately 84 Pax on 2 levels. 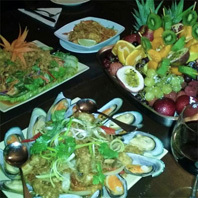 Functions and or large group bookings (10 Minimum / 84 Maximum) are available with the provision of having Set Menu’s, your choice of an entrée per person, a selection of main dishes (repeated), rice and if required a dessert. 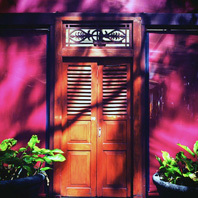 Wine and drink packages can also be supplied. We have previously catered for Wedding Receptions, Birthdays, Hens Parties, Corporate Dinners & Presentations. Please Contact Choc Dee (T) 07 4059 2533 or via email for a quotation. 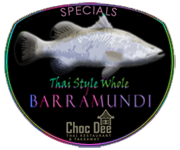 Choc Dee caters for Thai Food Lovers, (X-Mild, Mild, Medium, Hot or Thai Hot), Vegans, Vegetarians, Gluten Intolerant, Food Allergies Sufferers & Children of all Ages. Nothing Fancy, “Just Good Quality Food That Tastes Great” at a reasonable price with meals large enough to share, you won't go home hungry. 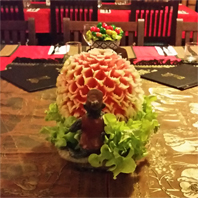 For more information, check out our list, with descriptions, of key Thai Ingredients used todeliver the authentic Thai food taste. And, you can find some larger images of the restaurant displayed on the Choc Dee image gallery page.